The Genius TEFL course will give you the essential skills and qualifications to start teaching English in Thailand. 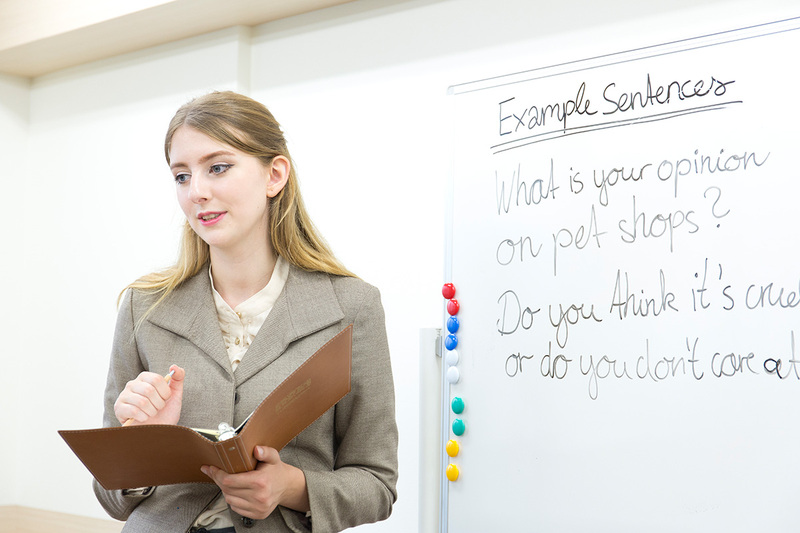 There is a great demand for English teachers in Phuket and as highly regarded school, we have an established course with live teaching training and a network of schools and contacts to help you find a teaching job in Phuket. Why Teach English In Phuket? TEFL opens up a teaching career in South East Asia. This is a great experience for those taking a gap year, or changing careers. Your surrounded by incredible beaches, islands and Phuket is a gateway to adventure travel but also has amazing amenities, shopping and a healthy environment. Our Patong TEFL School is 5 mins from the beach. This practical course gives you the essential skills to start a career to teach English in Phuket, Thailand. The course is 120 hrs and takes 6 weeks to complete. The majority of Thai school prefer their teachers to have a classroom-based certificate as opposed to an online TEFL. During this course you will be exposed to real-time teaching in Thai schools, which will give you the advantage when applying for jobs. You will be assessed at the end of the course with a practical and written exam to ensure you meet the high standards we set for our students. Our accredited TEFL Certificate is internationally recognised and we have experienced trainers that understand Thai schools and culture. One quality that sets us apart from the rest is our ongoing support. We offer assistance in accommodation, visa applications and job interviews and placements. Our classes are relatively small which ensure that you get individual attention. You will have 2 hours of classes and 2 hours of self-study and assignments each day, 5 days a week. This leaves you with plenty of free time to explore the areas that you want to teach in and more importantly, attend interviews in person, because most schools prefer to meet you in person. This also gives you a chance to see the school for yourself before you decide to commit to a one-year contract. There are generally 3 types of schools that you can apply at: Thai schools, EP schools (Thai with English Program) and International Schools. Our TEFL Course (Teach English as a Foreign Language) is ideal for NES (Native English Speakers) from Canada, USA, New Zealand, Australia and the UK. All you need is a University degree and a TEFL qualification. For non-native speakers, and additional TOEIC certificate is required. As a collective, the ASEAN countries has the fastest growing economy in the world, and there is a direct correlation between English proficiency and economic growth. The Thai Baht has been its strongest in 3 years, which makes Thailand a desirable place to work. Furthermore, the cost of living compared to Western countries is very low, and Phuket has all the modern amenities you would expect to find in big cities. From shopping and restaurants, buzzing nightlife, beautiful beaches and islands to elephant trekking and temples, there is so much to see and do in Phuket, you will never be bored. Tired of your current job? Need a change of scenery? Want to take a gap year? Want to work in paradise? Our TEFL course is the answer! You can start your new career the right away after completing the course. Do you assist with visas? Yes. There are two two visa options, the details are currently being reviewed. Please contact us for the latest information. Genius Language schools offers accommodation in one of our properties. Alternatively, there are many apartments, guesthouses and hotels in Patong. We can make recommendations based on your preferences and help you make a booking. We have a TEFL Language course running every month. Please contact us for start dates. The best way to learn how to teach is through practice. Our teachers will give you homework and you are encouraged to study outside of the lessons and practice your teaching skills. Our course aims to give you the best practical tools for teaching, and you will be exposed to actual Thai kids in a classroom environment. There will be practical and written assessments each week. At the end of the course, you will have 20 hours of actual teaching experience. Do you offer additional courses? 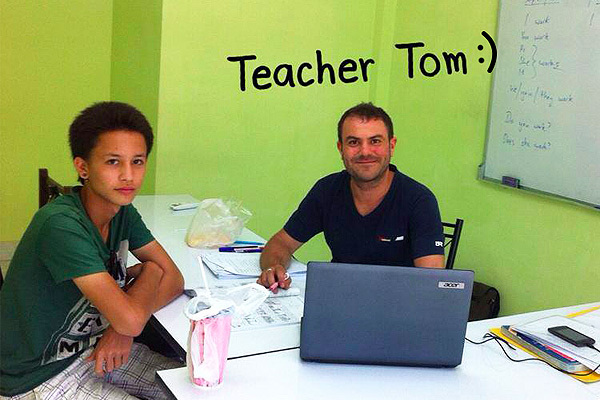 You can opt to do a 30 Hour Basic Thai course during or after your TEFL course. This course runs for 2 hours a day, 5 days a week for 3 weeks. It is a course requirement that you attend 140 hours of TEFL lessons. We do understand that sometimes you get sick and cannot come to class. Please inform our office if you will be absent so that we can make an alternative arrangement for you.